Browse: Home / 2010 / February / Corporations & Contractors Event: Confirmed Participants Part 1! Corporations & Contractors Event: Confirmed Participants Part 1! Below: Built by Hurst Nelson in 1901 as an open top car for Hull Corporation Tramways, No.96 was cut down in 1933 to an enclosed single deck tram. 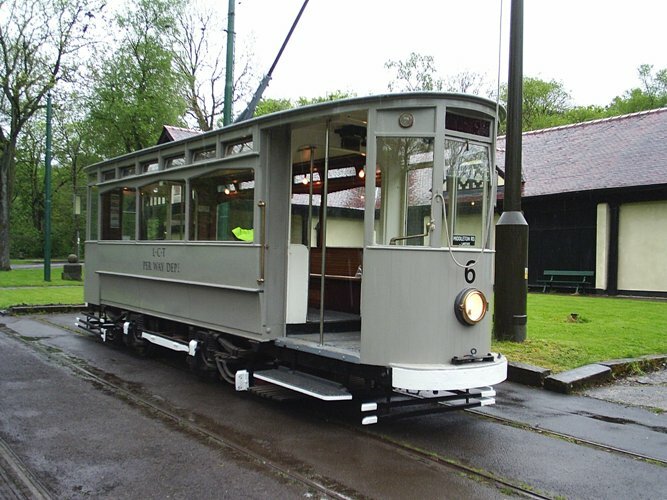 In 1942-45 it was sold to Leeds Tramways where it was numbered 6 in the works car series, it carrying out such duties until the closure of LCT in 1959. 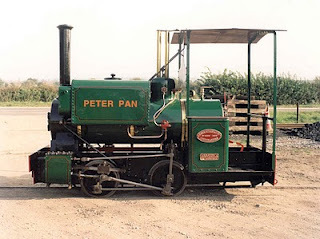 It was then privately preserved, eventually arriving at Heaton park Tramway and entering service in 1988. 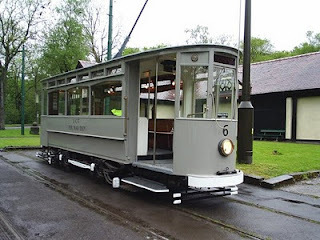 It has usually worn its Hull livery as 96, but recently was repainted into its works car guise as Leeds 6, and we are delighted that our friends at Heaton Park have agreed to it participating in this event. Beamish’s Oporto 196 will be going to Heaton Park in exchange, the swap lasting from April through to August. 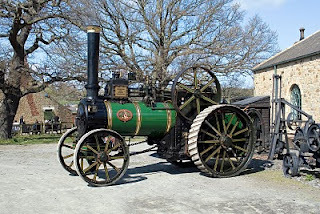 Below: Guy Rutter’s 6 ton Wallis Advance will make its first major public appearance at the event, though has seen some operation at Beamish since its restoration was completed last autumn. Below: … making its first appearance at Beamish, Dave’s Wallis Advance – now owned by him for over 40 years! Below: As part of the activities, which centre around road/tramway construction and maintenance plus contracting work (including agricultural), we are laying a 2 foot gauge construction railway in the colliery. This will be a working demonstration throughout the event and confirmed motive power includes Graham Morris’s well know Kerr Stuart Wren class 0-4-0ST Peter Pan. Originally owned by Devon County Council, the engine must surely be one of preservation’s most widely travelled locomotives.